When traveling to Vegas, it often feels like money is wasted left and right. However, if you plan ahead of time, have a well – defined itinerary, and follow some of these steps, you can save a lot of money. Save money before setting foot in Vegas by shopping for hotels ahead of time. Popular websites such as i4vegas, vegas.com, and other third party reservation sites have great volume discounts and can save you a load of dough. Commonly, a few of the well known casinos, such as Luxor, Mandalay Bay, and Tropicana offer great deals, some as low as $50 a night for a 4 star hotel. You can get the 5 star, 4 diamond Mandalay Bay for no more than $100 a night on special discounts. The key is to book ahead of time. 2 ) Take a few drinks and snacks. You will be surprised at how often you will get thirsty in the dry environment of Las Vegas. You’re going to be chugging a few liters a day and still feel dehydrated. A bottle of water can cost almost $3 at any Fast Food store or in-hotel mart. Taking some drinks will save you a considerable amount of money. This also holds for snacks and fruits. 3 ) All day buffet passes can save you tons of eating costs. Most of the major casinos offer all you can eat buffet whole day passes for a fraction of the cost more than the single time price. Let me be honest with you, if you’re eating at buffets, you won’t get hungry more than twice a day, but you will still save a lot of money. Luxor and MGM have all day buffets for $30 and Excalibur’s is $25. I wouldn’t recommend eating anywhere cheaper because the food quality drops rather fast. Don’t forget to tip the servers a few bucks, because they try their best to do a good job for you. 4 ) Purchase show tickets online or with a hotel package. If you’re going to see a show, prepare to spend over $100 a ticket and close to$200 for a decent seat. Luckily for you, you can purchase show tickets online for up to 70% off using online show vendors. It would be even better if you can get your show tickets for cheaper or free with a hotel package. Hotel packages usually discount shows in the same hotel by up to 50% or give you buy one get one free deals. 5 ) Going to gamble? Leave the plastic at the hotel room, take only cash. I urge you to follow this rule religiously and fanatically. If you take your credit or debit card with you to play, you’re going to lose a lot of money, very fast. Taking cash allows you to budget your losses. Play for entertainment, not to win, and you’ll actually enjoy ‘gambling.’ Set a daily limit and follow it. Don’t spend all your time in the casinos- there’s so much more to Vegas than gambling. 6 ) Do not shop for clothes, even at the city outlets. Vegas is really expensive. Unless money is not an issue, don’t buy anything except souvenirs because you will definitely be getting ripped off. As great as those Dior sunglasses look, they will look even better when you find it for 75% off back home. The Vegas outlets are pretty pricey too, so unless you’re visiting the Tangier Outlets around Barstow, don’t even bother looking. Remember, those beautiful casinos are built with loser’s money. 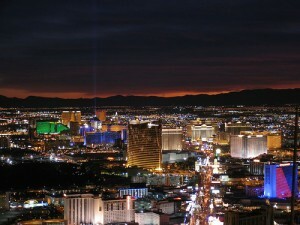 You can spend much less than you imagined and still have a wonderful time in Vegas. There’s great night life (as if I needed to tell you this), dining, and sight seeing. Don’t get bogged down shopping and gambling. Remember, plan everything before you visit and you will be rewarded. If you have been to Vegas or are planning to visit, tell me how you try to spend less money. I visit the city three or four times a year and could surely use some advice. How much is your gambling budget?